Have you ever wondered how the faux leather seats in your car got their textured appearance? Whether the seats have a fine, medium or heavy grain leather appearance, the texture of the faux leather was most likely achieved with the use of release paper. At Sappi, we manufacture and sell release papers which are then used in the making of coated fabrics, laminates, and in other special applications such as engineered films. Those products become a part of the components needed for creating end products such as car seats, handbags, flooring, furniture, and car wraps. In addition to leather looks, a variety of textures are available - from geometric, organic, flat, and textile textures for the coated fabrics market to stone, woodgrain, flat, organic, and geometric designs for laminate and panel applications. We offer hundreds of beautiful textures providing the look our customers desire. Whether it is a classic leather grain, or edgy geometric texture, Sappi's diverse texture catalog has it all. 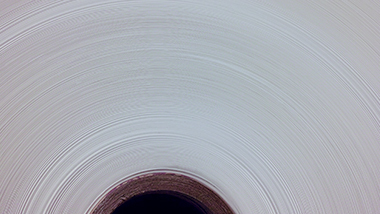 Release paper is a unique paper which acts as a mold in the production of coated fabrics by transferring the desired texture. The release paper is coated with polyurethane/PVC and a backing fabric is applied. This procedure causes the release paper to replicate its aesthetics (texture and gloss level) onto the coated fabric. The paper is then stripped away and can be reused multiple times; the number of possible reuses depends on the customer's processes. Explore our release papers which span the full spectrum of application and quality. Technical support for all Sappi casting and release papers.